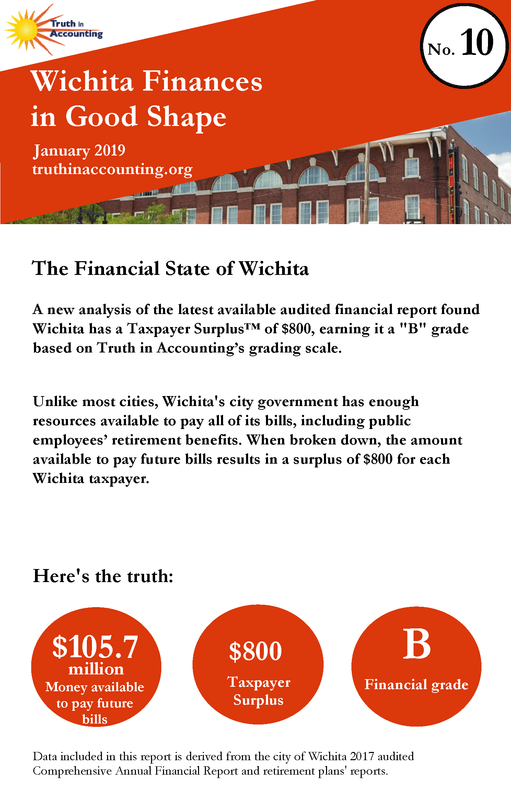 Wichita is a Sunshine City with enough assets to cover its debt. Decisions by elected officials have created a Taxpayer Surplus™, which is each taxpayer's share of money available after city bills have been paid. TIA's Taxpayer Surplus™ measurement incorporates all assets and liabilities, including retirement obligations. Wichita has $448.1 million of assets available to pay the state's bills totaling $342.5 million. 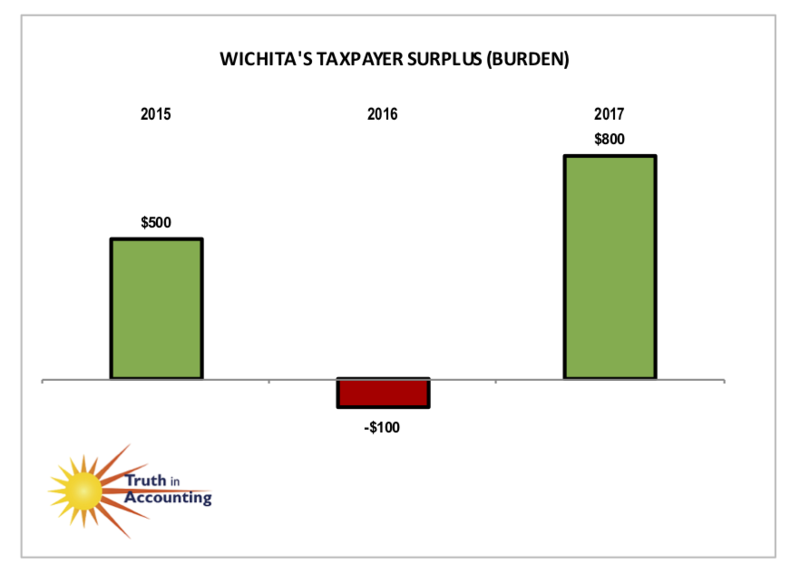 Wichita has $105.7 million available after bills have been paid, which breaks down to $800 per taxpayer. 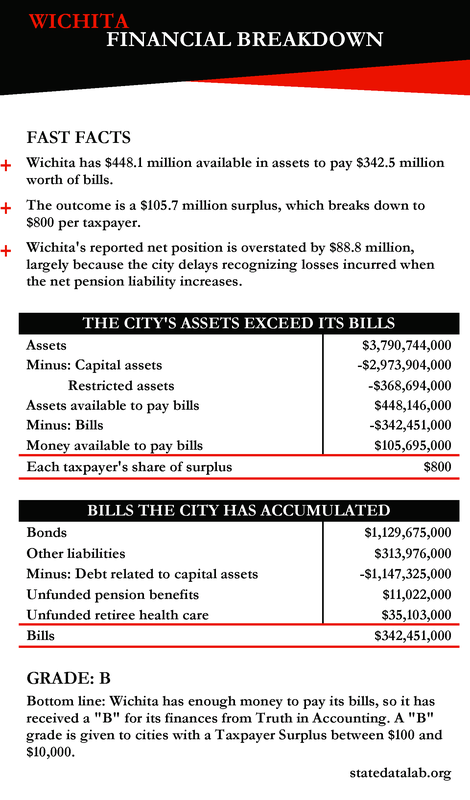 Wichita's reported net position is overstated by $88.8 million, largely because the city delays recognizing losses incurred when the net pension liability increases. The city's financial report was released 178 days after its fiscal year end, which is considered timely according to the 180 day standard.